NanoXplore is a Montreal-based advanced materials company, the largest Canadian producer of graphene and one of the largest graphene producers in the world. 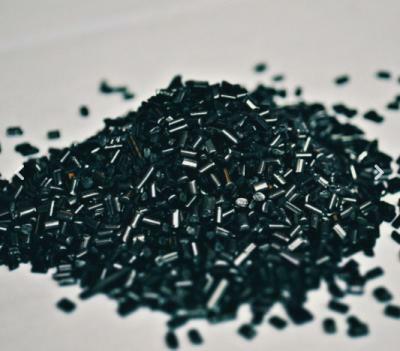 NanoXplore provides customers with graphene-enhanced polymers, including master batches in pellet form, few layer graphene powders, and custom graphene solutions. NanoXplore’s high quality graphene (i.e., high purity, with low defects) is very dispersible, enabling significant improvements with very small amounts of added graphene, typically less than 1% by weight. The company's core technology is a unique, low-cost manufacturing process which produces industrial volumes of high quality graphene from graphite flake using a one-step and environmentally friendly method. NanoXplore’s ability to tailor the final properties of polymers by adding trace amount of graphene, paves the way for engineering plastics in real world products such as electric motors, electronic packaging, and thermal management solutions. Today NanoXplore is supporting innovators in the plastic, rubber, performance clothing, paint, coating, and energy storage industries, helping to enhance the thermal, electrical, and physical characteristics of customers’ products, while replacing existing harmful and expensive additives. NanoXplore brings together a team of seasoned business leaders and material scientists with the broad industrial experience required to enable customer-specific solutions. NanoXplore states a 25 tonnes/year current graphene production capacity, low cost graphene manufacturing, 5 patents on graphene production and applications, and two production facilities (45,000 sq. ft) near Montreal, QC. It is focused on graphene as an additive to plastic resins - with 400 tonnes/year graphene-plastic mixing and compounding line, it fabricates and sells over 5 million plastics parts and assemblies per year. Group NanoXplore is a public company that trades in the Canadian stock exchange (CVE:GRA). NanoXplore, manufacturer and supplier of high-volume graphene powder for use in industrial markets, has announced that it acquired Sigma Industries in a deal that included cash and stock components. The cash component is approximately CAD$9 million (around $6.8 million USD) and the stock value is approximately CAD$9.8 million (almost $7.5 million USD). Sigma Industries is a manufacturing company specializing in the manufacture of composite products, with two operating subsidiaries and 275 employees. It operates in the markets for heavy trucks, buses, public transit, machinery and wind energy. Sigma sells its products to original equipment manufacturers and distributors in the United States, Canada and Europe. NanoXplore has announced an agreement to acquire all of the issued and outstanding shares of CEBO Injections, a Swiss-based injection molding company, from BCR Plastic Group. CEBO provides customers with high precision and high-quality injection molded products, and serves the automotive, medical, industrial and watches manufacturing markets. Dr. Soroush Nazarpour, President and CEO of NanoXplore commented: "Our graphene improves the performance and minimizes shrinkage of injection molded plastic parts such as those provided by CEBO. Acquiring CEBO will allow NanoXplore to demonstrate the benefits of graphene to CEBO's existing customers while providing NanoXplore with an entry into the European market, accelerating the adoption of graphene enhanced thermoplastics".